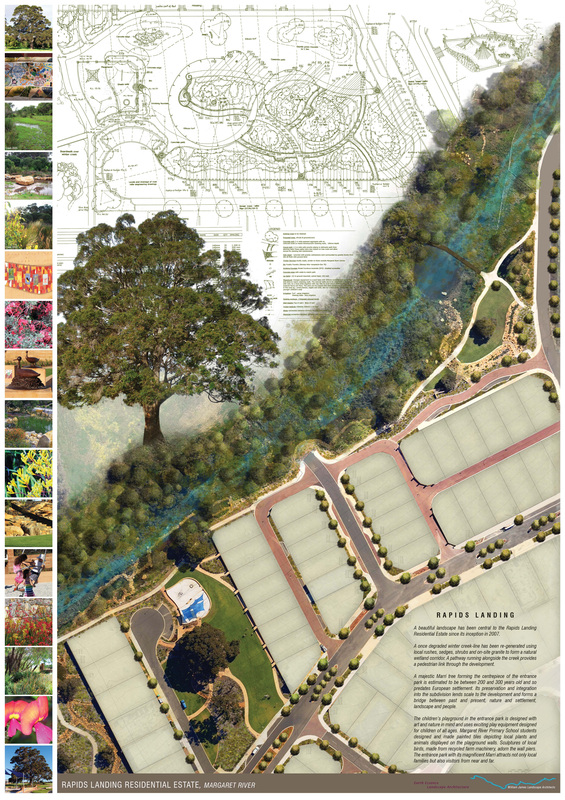 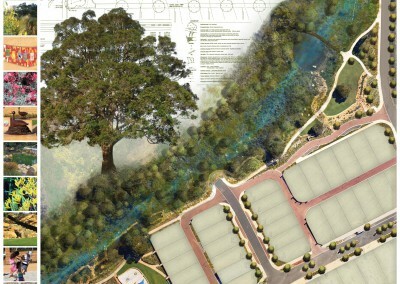 The story behind the siting and design of this park confirms the advantage of flexibility in the initial planning process when the original layout is changed to take advantage of natural on-site assets. 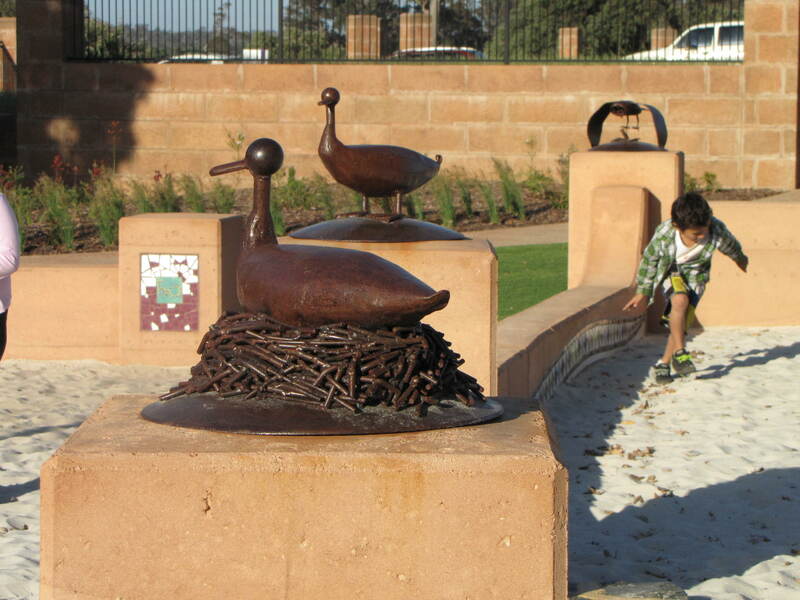 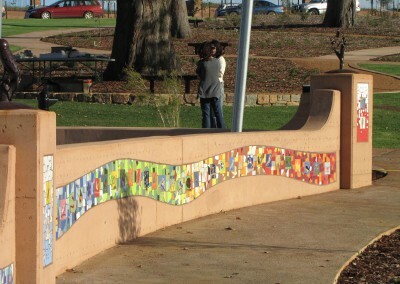 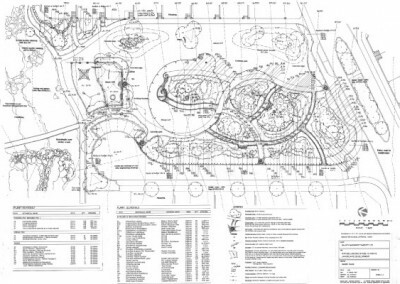 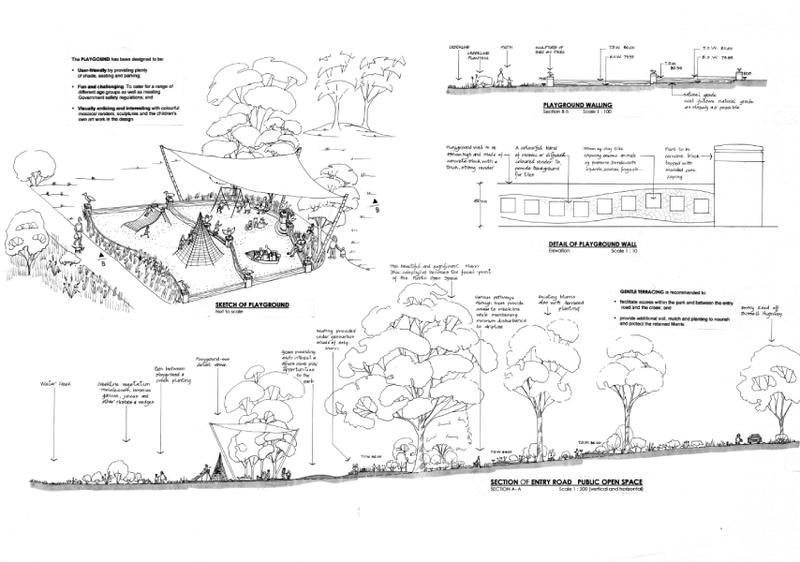 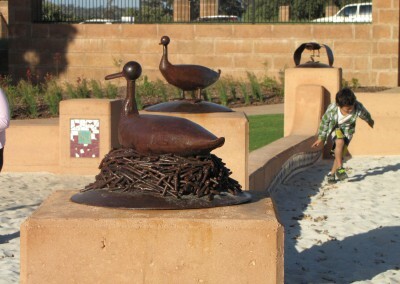 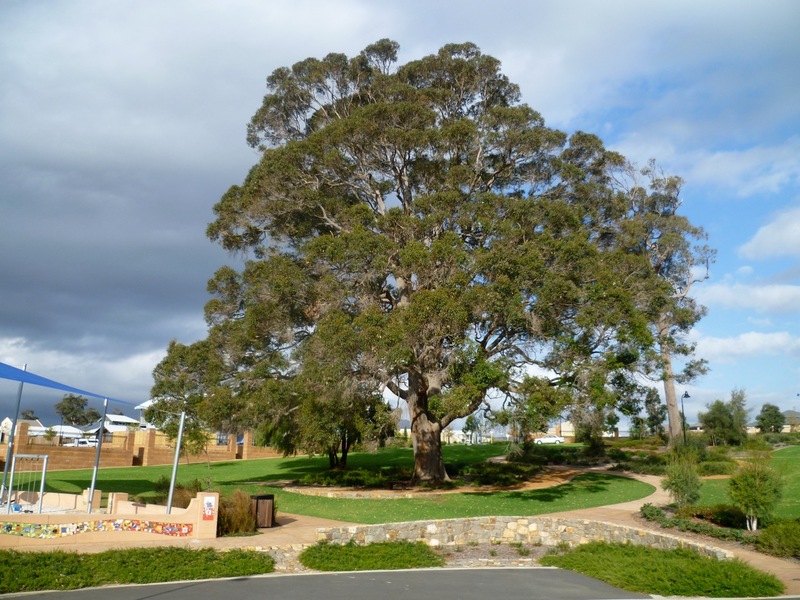 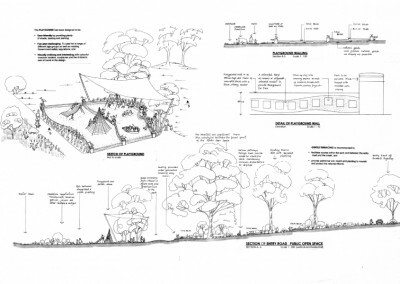 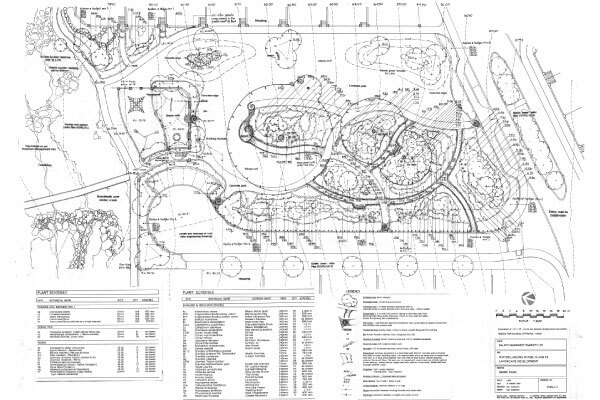 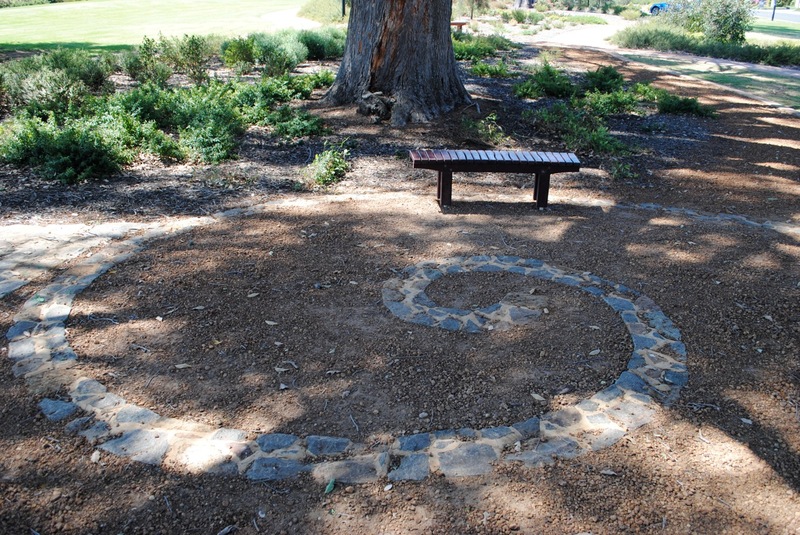 During an early site visit, a large, healthy Marri tree was chosen to become the centre piece of the park, and the other elements, including the playground, planting beds and curved pathways, were all designed around it. The retention of the tree links the park with its former use as a farm and its generous canopy provides welcome shade in summer, where people can sit and watch children on the play equipment or dabbling in the winter creek that runs through the centre of the estate.